This article is about the famine of 1959–1961. For other famines in Chinese history, see List of famines in China. The Great Chinese Famine (Chinese: 三年大饑荒, "three years of famine") was a period in the People's Republic of China between the years 1959 and 1961 characterized by widespread famine. The policies of ruler Mao Zedong contributed to the famine, although the relative weights of the contributions are disputed. Estimates of deaths due to starvation range in the tens of millions. Considered China's most devastating catastrophe by Frank Dikötter. A part of the Great Leap Forward movement. The famine in China has been known by many names, inside China and out. In China, it is known as the "Three Years of Great Famine" (simplified Chinese: 三年大饥荒; traditional Chinese: 三年大饑荒; pinyin: Sānnián dà jīhuāng). The government of the People's Republic of China called it "Three Years of Natural Disasters" (simplified Chinese: 三年自然灾害; traditional Chinese: 三年自然災害; pinyin: Sānnián zìrán zāihài) before the 1980s, and later renamed it the "Three Years of Difficulty" (simplified Chinese: 三年困难时期; traditional Chinese: 三年困難時期; pinyin: Sānnián kùnnán shíqī)[page needed][better source needed]. The great famine was caused by a combination of social pressure, economic mismanagement, and radical agricultural changes in regulations imposed by government organs. 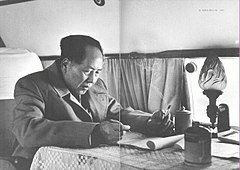 Mao Zedong, Chinese Communist Party Chairman, introduced drastic changes in farming policy which prohibited farm ownership. Failure to abide by the policies led to punishment. The social pressure imposed on the citizens in terms of farming and business, which the government controlled, led to state instability. Owing to the laws passed during the period and the Great Leap Forward during 1958–1962, and according to an analysis by journalist Yang Jisheng, about 36 million people died of starvation in this period. Until the early 1980s, the Chinese government's stance, reflected by the name "Three Years of Natural Disasters", was that the famine was largely a result of a series of natural disasters compounded by several planning errors. Researchers outside China argued that massive institutional and policy changes that accompanied the Great Leap Forward were the key factors in the famine, or at least worsened nature-induced disasters. Since the 1980s, there has been greater official Chinese recognition of the importance of policy mistakes in causing the disaster, claiming that the disaster was 30% due to natural causes and 70% by mismanagement. During the Great Leap Forward, farming was organized into communes and the cultivation of privately owned plots forbidden. Iron and steel production was dogmatically identified as a key requirement for economic advancement. Millions of peasants were ordered away from agricultural work to join the iron and steel production workforce. This did not in any way improve the condition of the Chinese economy. In Xinyang, people starved at the doors of the grain warehouses. As they died, they shouted, "Communist Party, Chairman Mao, save us". If the granaries of Henan and Hebei had been opened, no one need have died. As people were dying in large numbers around them, officials did not think to save them. Their only concern was how to fulfill the delivery of grain. Along with socialist collectivization, the central government decreed several changes in agricultural techniques that would be based on the ideas of Soviet pseudoscientist Trofim Lysenko. One of these theoretic ideas which the Central government would test was close planting, whereby the density of seedlings was at first tripled and then doubled again. The theory was that plants of the same species would not compete with each other. In natural cycles they did fully compete, which actually stunted growth and resulted in lower yields. Another policy dogmatically implemented (known as "deep plowing") was based on the ideas of Lysenko's colleague Terentiy Maltsev, who encouraged peasants across China to eschew normal plowing depths of 15–20 centimeters and instead plow extremely deeply into the soil (1 to 2 meters). The deep plowing theory stated that the most fertile soil was deep in the earth, and plowing unusually deep would allow extra strong root growth. However, in shallow soil, useless rocks, soil, and sand were driven up instead, burying the fertile topsoil and again severely stunting seedling growth. 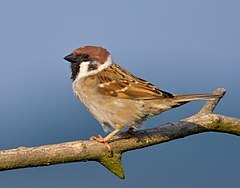 Additionally, in the so called Great sparrow campaign, citizens were called upon to destroy sparrows and other wild birds that ate crop seeds, in order to protect fields. Pest birds were shot down or scared away from landing until dropping in exhaustion. This system paradoxically failed and resulted in an explosion of the vermin population, especially crop-eating insects, which consequently had no predators. These radically harmful changes in farming organization coincided with adverse weather patterns, including droughts and floods. In July 1959, the Yellow River flooded in East China. According to the Disaster Center, the flood directly killed, either through starvation from crop failure or drowning, an estimated 2 million people, while other areas were affected in other ways as well. Frank Dikötter argues that most floods were not due to unusual weather, but to massive, poorly planned and poorly executed irrigation works which were part of the Great Leap Forward. In 1960, an estimated 60% of agricultural land in northern China received no rain at all. This incident was unfortunately coincidental with the famine. The Encyclopædia Britannica yearbooks from 1958 to 1962 also reported abnormal weather, followed by droughts and floods based on Chinese government sources. This included 760 millimetres (30 in) of rain in Hong Kong across five days in June 1959, part of a pattern that hit all of Southern China. As a result of these factors, year over year grain production dropped in China. The harvest was down by 15% in 1959. By 1960, it was at 70% of its 1958 level. There was no recovery until 1962, after the Great Leap Forward was declared over by the Central government. According to the China Statistical Yearbook (1984), crop production decreased from 200 million tons in 1958 to 143.5 million tons in 1960. The Party began to export excessive amounts of grain from regions in 1957 under the Great Leap Forward. However, the production of grain throughout China was decreasing from 1957-1961. In areas, such as Sichuan Province, the grain collected was decreasing from 1958-1961, yet the numbers being reported kept increasing. Beijing believed, "in 1960 state granaries would have 50 billion jin of grain" when it actually contained 12.7 billion jin. Within Da Fo "food output by and large did not decline, but there was an astonishing loss of food availability associated with Maoist state appropriation" and the grain yield in Gansu declined 4.273 billion kilos from 1957 to 1961. This series of events resulted in the illusion of superabundance, in which the Party believed that they had an excess amount of grain they could access; but, the Party was also unaware that crop yields were in fact lower than average. First, it led to planners to shift lands from grain to economic crops, such as cotton, sugarcane, and beets, and divert huge numbers agricultural laborers into industrial sectors, fueling state demand for procured grain from the countryside. Second, it prompted the Chinese leadership, especially Zhou Enlai, to speed up grain exports to secure more foreign currency to repay debts to the Soviet Union and to purchase capital goods needed for industrialization. Finally, the illusion of superabundance made the adoption of the commune mess halls seem rational at the time. All these changes, of course, contributed to the rapid exhaustion of grain supplies. The topic of the People's commune and the degree in which it influenced the famine holds contention in regards to its overall influence. Each region dealt with the famine differently and timelines of the famine are not uniform across China. The overarching argument is that excessive eating that took place in the mess halls directly led to a worsening of the famine and that if excessive eating did not take place then, "the worst of the Great Leap Famine could still have been avoided in mid-1959." However, dire hunger did not set into Da Fo until 1960 and the public dining hall participation rate was found to be meaningless in terms of causation in Anhui and Jianxi. Government policies that were implemented, particularly the Three Red Banners and the Socialist Education Movement (SEM), proved to be ideologically detrimental to the increasing famine. The Three Red Banners of the CCP "sparked the fanaticism of 1958" and the implementation of the General Line, one of the three banners which told people to, "go all out, aim high, and build socialism with greater, better, and more economical results" directly links to the pressures officials felt when reporting a superabundance of grain. The SEM, established in 1957, also led to the severity of the famine in many ways, including the illusion of superabundance. Once the exaggerations of crop yields from the General Line were reported, "no one dared to ‘dash cold water'" on further reports. The SEM also led to the establishment of conspiratory thoughts in which the peasants were believed to be pretending to be hungry in order to sabotage the state grain purchase. Local governments had just as much, if not more, of an influence on the famine than did agriculture and higher forms of government. As the Great Leap Forward progressed, many provincial leaders began to extend their reach by working closely with Mao and higher Party leaders; which, in turn resulted in these provincial leaders abusing power that they did not actually have. This abuse of power caused passivity on the local level. Local landlords began "denouncing any opposition as ‘conservative rightism,'" which is defined broadly as anything anti-communist. With the ongoing conspiratorial theories revolving around peasants, it was seen that saving extra grain for a family to eat, the belief that the Great Leap Forward should not be implemented, or merely not working hard enough could all be seen as forms of ‘conservative rightism.' This hatred led to peasants becoming unable to openly speak on collectivization and state grain purchase. By enforcing such passivity at a local level while there already was passivity at an official level, speaking and acting against the famine became a seemingly impossible task. The influence of local government in the famine can be seen in the comparison between the provinces of Anhui and Jiangxi. Anhui, having a radical pro-Mao government, was led by Zeng Xisheng who was "dictatorial" with ties to Mao. Zeng firmly believed in the Great Leap Forward and tried to hold relationships with higher officials rather than keep close local ties. Zeng proposed agricultural projects without consulting colleagues which caused Anhui's agriculture to fail terribly. Zhang Kaifan, a party secretary and deputy-governor of the province, heard rumours of a famine breaking out in Anhui and disagreed with many of Zeng's policies. Zeng reported Zhang to Mao for such speculations which led Mao to label Zhang "a member of the 'Peng Dehui anti-Party military clique,'" resulting in him being purged from the local party. Zeng was unable to report of the famine when it became an emergency situation as this would prove his hypocrisy and caused him to become a "blatant political radical who almost single-handedly damaged Anhui." Jiangxi encountered a situation almost opposite to that of Anhui. The leaders of Jiangxi publicly opposed some of the Great Leap programs, quietly made themselves unavailable, and even appeared to take a passive attitude towards the Maoist economy. As the leaders worked collaboratively among themselves, they also worked with the local population as well. By being able to create an environment in which the Great Leap Forward did not become fully implemented, the Jiangxi government "did their best to minimize damage…" These findings led to the conclusion that much of the severity of the famine came down to provincial leaders and their responsibility for their regions. Due to lack of food and incentive to marry at that time, the population was about 658,590,000 in 1961, about 13,480,000 less than the population of 1959. 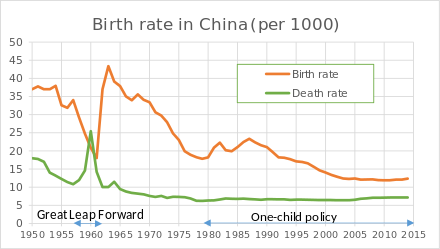 Birth rate decreased from 2.922% (1958) to 2.086% (1960) and death rate increased from 1.198% (1958) to 2.543% (1960), while the average numbers for 1962–1965 are about 4% and 1%, respectively. According to government statistics, there were 15 million excess deaths in this period. Unofficial estimates vary, but scholars have estimated the number of famine victims to be between 20 and 43 million. I went to one village and saw 100 corpses, then another village and another 100 corpses. No one paid attention to them. People said that dogs were eating the bodies. Not true, I said. The dogs had long ago been eaten by the people. In the second half of 1959, I took a long-distance bus from Xinyang to Luoshan and Gushi. Out of the window, I saw one corpse after another in the ditches. On the bus, no one dared to mention the dead. In one county, Guangshan, one-third of the people had died. Although there were dead people everywhere, the local leaders enjoyed good meals and fine liquor. ... I had seen people who had told the truth being destroyed. Did I dare to write it? Some Western analysts, such as Patricia Buckley Ebrey, estimate that about 20–40 million people had died of starvation caused by bad government policies and natural disasters. J. Banister estimates that this number is about 23 million. Li Chengrui, a former minister of the National Bureau of Statistics of China, estimated 22 million (1998). His estimation was based on Ansley J. Coale and Jiang Zhenghua's estimation of 27 million. Cao Shuji estimated 32.5 million. The aforementioned Yang Jisheng (2008) estimated the death toll at 36 million. Hong Kong-based historian Frank Dikötter (2010) estimated that, at minimum, 45 million people died from starvation, overwork and state violence during the Great Leap, claiming his findings to be based on access to recently opened local and provincial party archives. His study also stressed that state violence exacerbated the death toll. Dikötter claimed that at least 2.5 million of the victims were beaten or tortured to death. His approach to the documents, as well as his claim to be the first author to use them, however, have been questioned by other scholars. Chinese journalist Yang Jisheng concluded there were 36 million deaths due to starvation, while another 40 million others failed to be born, so that "China's total population loss during the Great Famine then comes to 76 million." Utsa Patnaik writes "The figure of 30 million has passed into popular folklore. However, a study of how it has been arrived at shows that this estimate has no scholarly basis whatsoever." Liu Desheng, guilty of poaching a sweet potato, was covered in urine ... He, his wife, and his son were also forced into a heap of excrement. Then tongs were used to prise his mouth open after he refused to swallow excrement. He died three weeks later. The term "Three Bitter Years" is often used by Chinese peasants to refer to this period. Local party leaders, for their part, conspired to cover up shortfalls and reassign blame in order to protect their own lives and positions. In a similar manner to the massive Soviet-created famine in Ukraine (the Holodomor), doctors were prohibited from listing "starvation" as a cause of death on death certificates. 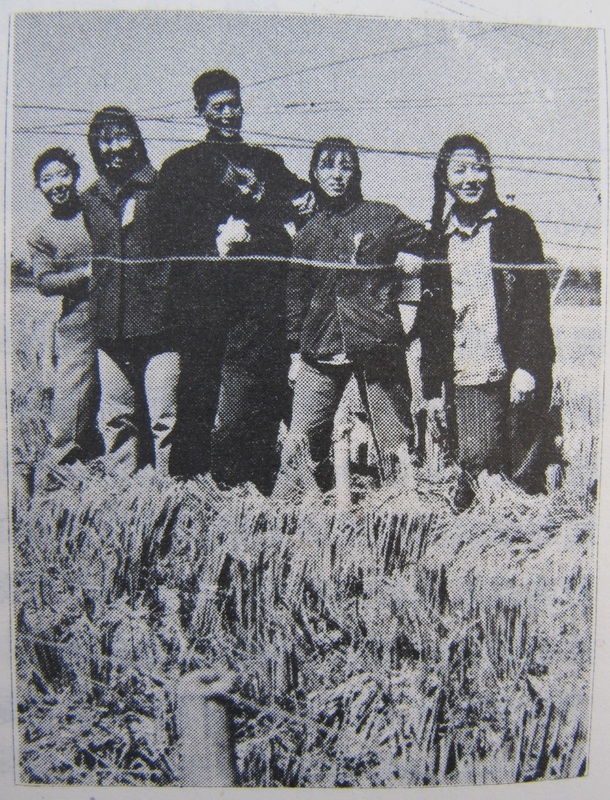 This kind of deception was far from uncommon; a famous propaganda picture from the famine shows Chinese children from Shandong province ostensibly standing atop a field of wheat, so densely grown that it could apparently support their weight. In reality, they were standing on a bench concealed beneath the plants, and the "field" was again entirely composed of individually transplanted stalks.Aforementioned propaganda photo. Amartya Sen puts this famine in a global context, arguing that lack of democracy is the major culprit: "Indeed, no substantial famine has ever occurred in a democratic country—no matter how poor." He adds that it is "hard to imagine that anything like this could have happened in a country that goes to the polls regularly and that has an independent press. During that terrible calamity the government faced no pressure from newspapers, which were controlled, and none from opposition parties, which were absent." On the other hand, Sen points out that the numbers of "excess mortality" in India often surpass what they were in China during 1958–1961. In 1962, Liu Shaoqi, then President of the People's Republic of China, concluded after 44 days of field research in villages of Hunan that the reasons for the famine were 30% natural disaster and 70% human error. ^ The title of Becker's book is a reference to Hungry ghosts in Chinese religion. ^ Holmes, Leslie. Communism: A Very Short Introduction (Oxford University Press 2009). ISBN 978-0-19-955154-5. p. 32 "Most estimates of the number of Chinese dead are in the range of 15 to 30 million." ^ Songster, Edith Elena (2004). A Natural Place for Nationalism: The Wanglang Nature Reserve and the Emergence of the Giant Panda as a National Icon (thesis). University of California, San Diego. OCLC 607612241. Retrieved 18 January 2018. ^ Sue Williams (director), Howard Sharp (editor), Will Lyman (narrator) (1997). China: A Century of Revolution. WinStar Home Entertainment. ^ "The Most Deadly 100 Natural Disasters of the 20th Century". ^ Liu, Henry C K (1 April 2004). "Part 2: The Great Leap Forward not all bad". Asia Times online. ^ Fred Harding (2006). Breast Cancer: Cause, Prevention, Cure. Tekline Publishing. p. 381. ISBN 978-0-9554221-0-2. ^ Lin, Justin Yifu; Yang, Dennis Tao (2000). "Food Availability, Entitlements and the Chinese Famine of 1959–61". The Economic Journal. Royal Economic Society. 110 (460): 143. doi:10.1111/1468-0297.00494. ^ Yang Jisheng (30 October 2012). Tombstone: The Great Chinese Famine, 1958-1962. Farrar, Straus and Giroux. p. 240. ISBN 978-0-374-27793-2. ^ Kimberley Ens Manning; Felix Wemheuer; Gao Hua (1 January 2011). "Food Augmentation Methods and Food Substitutes during the Great Famine". Eating Bitterness: New Perspectives on China's Great Leap Forward and Famine. UBC Press. p. 177. ISBN 978-0-7748-5955-4. ^ Ralph Thaxton (5 May 2008). Catastrophe and Contention in Rural China: Mao's Great Leap Forward Famine and the Origins of Righteous Resistance in Da Fo Village. Cambridge University Press. p. 128. ISBN 978-0-521-72230-8. ^ Yang Jisheng (30 October 2012). Tombstone: The Great Chinese Famine, 1958-1962. Farrar, Straus and Giroux. p. 126. ISBN 978-0-374-27793-2. ^ Dali L. Yang (1996). Calamity and Reform in China: State, Rural Society, and Institutional Change Since the Great Leap Famine. Stanford University Press. p. 65. ISBN 978-0-8047-3470-7. ^ Dali L. Yang (1996). Calamity and Reform in China: State, Rural Society, and Institutional Change Since the Great Leap Famine. Stanford University Press. p. 55. ISBN 978-0-8047-3470-7. ^ Ralph Thaxton (5 May 2008). Catastrophe and Contention in Rural China: Mao's Great Leap Forward Famine and the Origins of Righteous Resistance in Da Fo Village. Cambridge University Press. p. 125. ISBN 978-0-521-72230-8. ^ Kimberley Ens Manning; Felix Wemheuer; Chen Yixin (1 January 2011). "Under the Same Maoist Sky : Accounting for Death Rate Discrepancies in Anhui and Jianxi". Eating Bitterness: New Perspectives on China's Great Leap Forward and Famine. UBC Press. p. 220. ISBN 978-0-7748-5955-4. ^ Yang Jisheng (30 October 2012). Tombstone: The Great Chinese Famine, 1958-1962. Farrar, Straus and Giroux. p. 87. ISBN 978-0-374-27793-2. ^ Yang Jisheng (30 October 2012). Tombstone: The Great Chinese Famine, 1958-1962. Farrar, Straus and Giroux. p. 99. ISBN 978-0-374-27793-2. ^ Kimberley Ens Manning; Felix Wemheuer (1 January 2011). ""The Grain Problem is an Ideological Problem" : Discourses of Hunger in the 1957 Socialist Education Campaign". Eating Bitterness: New Perspectives on China's Great Leap Forward and Famine. UBC Press. p. 127. ISBN 978-0-7748-5955-4. ^ Dali L. Yang (1996). Calamity and Reform in China: State, Rural Society, and Institutional Change Since the Great Leap Famine. Stanford University Press. p. 31. ISBN 978-0-8047-3470-7. ^ Frank Dikötter (1 October 2010). Mao's Great Famine: The History of China's Most Devastating Catastrophe, 1958-1962. Bloomsbury Publishing. p. 2. ISBN 978-0-8027-7928-1. ^ Kimberley Ens Manning; Felix Wemheuer (1 January 2011). ""The Grain Problem is an Ideological Problem" : Discourses of Hunger in the 1957 Socialist Education Campaign". Eating Bitterness: New Perspectives on China's Great Leap Forward and Famine. UBC Press. p. 110. ISBN 978-0-7748-5955-4. ^ Kimberley Ens Manning; Felix Wemheuer (1 January 2011). "Under the Same Maoist Sky : Accounting for Death Rate Discrepancies in Anhui and Jianxi". Eating Bitterness: New Perspectives on China's Great Leap Forward and Famine. UBC Press. pp. 212–213. ISBN 978-0-7748-5955-4. ^ Kimberley Ens Manning; Felix Wemheuer (1 January 2011). "Under the Same Maoist Sky : Accounting for Death Rate Discrepancies in Anhui and Jianxi". Eating Bitterness: New Perspectives on China's Great Leap Forward and Famine. UBC Press. p. 213. ISBN 978-0-7748-5955-4. ^ Kimberley Ens Manning; Felix Wemheuer (1 January 2011). "Under the Same Maoist Sky : Accounting for Death Rate Discrepancies in Anhui and Jianxi". Eating Bitterness: New Perspectives on China's Great Leap Forward and Famine. UBC Press. pp. 216–218. ISBN 978-0-7748-5955-4. ^ Dillon, Michael. "Collective Responsibility" The Times Literary Supplement January 7 (2011), p. 13. ^ Mirsky, Jonathan (9 December 2012). "Unnatural Disaster: 'Tombstone: The Great Chinese Famine, 1958–1962,' by Yang Jisheng". The New York Times Sunday Book Review. p. BR22. Retrieved 7 December 2012. ^ Issac Stone Fish. Greeting Misery With Violence. Newsweek. 26 September 2010. ^ a b Bernstein, Richard (5 February 1997). "Horror of a Hidden Chinese Famine". New York Times. ^ a b c d Becker, Jasper (1997). Hungry Ghosts: Mao's Secret Famine. Free Press. ISBN 978-0-68483457-3. ^ Dikötter, Frank (2010). "36. Cannibalism". Mao's Great Famine: The History of China's Most Devastating Catastrophe, 1958–1962. pp. 320–323. ISBN 978-0-80277768-3. ^ "Different Life of Scientist Yuan Longping" (in Chinese). Guangming Daily. 22 May 2007. Retrieved 16 March 2012. ^ International School History (21 January 2015). "Mao's Great Famine". Retrieved 19 September 2018 – via YouTube. ^ Amartya Kumar Sen (1999). Development as freedom. Oxford University Press. ISBN 978-0-19-289330-7. Retrieved 14 April 2011. ^ Wiener, Jon. "How We Forgot the Cold War. A Historical Journey across America" University of California Press, 2012, p. 38. Ashton, Basil, Kenneth Hill, Alan Piazza, Robin Zeitz, "Famine in China, 1958–61", Population and Development Review, Vol. 10, No. 4. (Dec., 1984), pp. 613–645. Becker, Jasper (1998). Hungry Ghosts: Mao's Secret Famine. A Holt paperback : history. Holt. ISBN 0-8050-5668-8. OCLC 985077206. Cao Shuji, "The Deaths of China's Population and Its Contributing Factors during 1959–1961". China's Population Science (Jan. 2005) (In Chinese). China Statistical Yearbook (1984), edited by State Statistical Bureau. China Statistical Publishing House, 1984. pp. 83, 141, 190. Coale, Ansley J., Rapid Population Change in China, 1952–1982, National Academy Press, Washington, D.C., 1984. Dikötter, Frank. Mao's Great Famine: The History of China's Most Devastating Catastrophe, 1958–62. Walker & Company, 2010. ISBN 0-8027-7768-6. Jiang Zhenghua (蔣正華)， "Method and Result of China Population Dynamic Estimation", Academic Report of Xi'a University, 1986(3). pp. 46, 84. Yang Jisheng. Tombstone (Mu Bei – Zhong Guo Liu Shi Nian Dai Da Ji Huang Ji Shi). Cosmos Books (Tian Di Tu Shu), Hong Kong 2008. Yang Jisheng. "Tombstone: An Account of Chinese Famine in the 1960s" (墓碑 － 中國六十年代大饑荒紀實 (Mubei – Zhongguo Liushi Niandai Da Jihuang Jishi), Hong Kong: Cosmos Books (Tiandi Tushu), 2008, ISBN 978-988-211-909-3 (in Chinese). By 2010, it was appearing under the title: 墓碑: 一九五八-一九六二年中國大饑荒紀實 (Mubei: Yi Jiu Wu Ba – Yi Jiu Liu Er Nian Zhongguo Da Jihuang Shiji) ("Tombstone: An Account of Chinese Famine From 1958–1962").